Boston upheld its reputation as the "Athens of America" as sociologists from around the United States and abroad converged on the city to share research and discuss "Worlds of Work," the theme of the ASA’s 103rd Annual Meeting last month. The conference theme—speaking to both the increasing diversity by which work is organized and experienced and to the cross-national and historical diversity in work activities, institutions, and experiences—drew the third-highest attendance in ASA history with 5,458 attendees. The meeting’s program, developed by President Arne Kalleberg and the 2008 Program Committee, included 470 breakout sessions, five plenary sessions, and six presidential panels focusing on topics tied to the conference theme. The state of work was the subject of Kalleberg’s presidential address, in which he discussed the increasing risk, insecurity, and unpredictability of employment today. In the address, which was preceded by the ASA major awards ceremony (see article on award recipients in the November 2008 Footnotes), Kalleberg explored the causes and consequences of the increasing instability of jobs and its implications for policy. 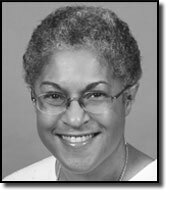 I welcome this opportunity to introduce the 2009 ASA President, Patricia Hill Collins, to the sociology community. Patricia Hill Collins is the 100th president of the ASA and the first African American woman to hold this office. Her election is one of the many "firsts" that we are witnessing in this new millennium, as some of the barriers that have existed for women and people of color have lifted. What is the path that has brought our new president to the leadership of our national organization? In an April 2005 C-SPAN interview, Peter Piot, Director of the Joint United Nations Programme on AIDS (UNAIDS), proclaimed that AIDS has been redefined as "not just a medical curiosity but as an obstacle to social and economic development . . . and also as a threat to security and stability." While this statement may have been revelatory to those in the biomedical and clinical world who have never considered the social nature of AIDS, to the social science community it registered a big "duh." Since the beginning of the epidemic, sociologists have pointed out that HIV/AIDS is not solely an individual biological problem but is also a social phenomenon associated with social ties and other forms of social influences, be these cultural, political, economic, or environmental. Sociologists have noted the imperative to understand and address social drivers that affect how, where, and why different groups of people are more vulnerable to or resilient against HIV infection. We have argued that, unless the social, political, and cultural contexts that affect individuals’ levels and experiences of "risk" are addressed, the overall impact of individual-level HIV prevention and treatment interventions will be limited. But, until recently, this perspective has had little currency in the collective discourse of the AIDS research community.